Last night on Top Rank Boxing on ESPN, we had a triple header of acton. Shakur Stevenson (5-0, 2 KO’s) defeated Jonny Tapia (8-2, 3 KO’s) by an 8 round shutout unanimous decision victory. All the judges scored the fight 80-72 in favor of Stevenson. 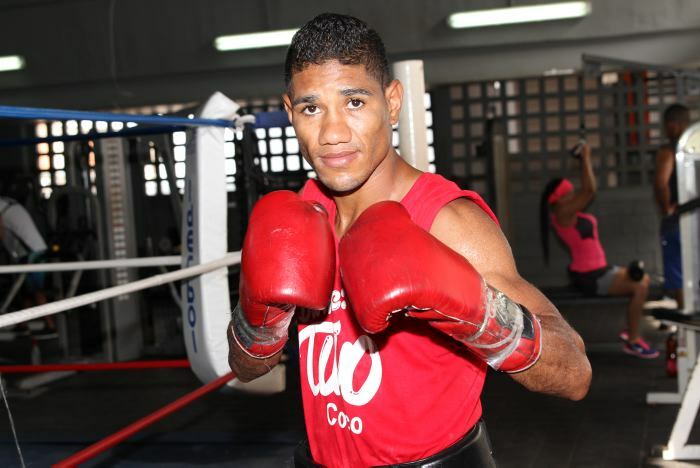 Tapia had no answer for Stevenson’s superior speed and his reach advantage, and just could not get any offense going. Stevenson stays undefeated and continues to make a name for himself as one of boxings top young prospects. The co-feature of the evening was not as exciting as everyone thought it would be, until of course it was. 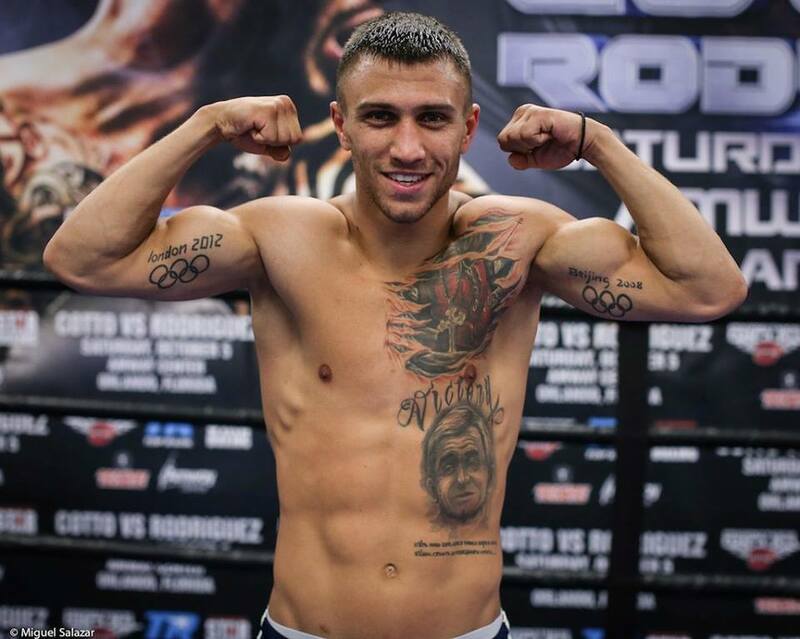 Egidijus Kavaliauskus (19-0, 16 KO’s) defeated David Avanesyan (23-3-1, 11 KO’s) by TKO in the 6th round. Rounds 1 through 3 were very uneventful in this fight, as both fighters were shy to pull the trigger. In round 4, Kavaliauskus staggered Avanesyan with a big right hand, but was unable to capitalize on it. In the 6th however, Kavaliauskus landed another huge right hand through the guard, and Avanesyan was badly hurt. With no legs under him, and taking a barrage of punches, the referee stopped the fight in the 6th, as Avanesyan was clearly done. The main event was an exciting back and forth rumble, as Ray Beltran (35-7-1, 21 KO’s) defeated Paulus Moses (40-4, 25 KO’s) to finally capture his first world title in boxing. With the title also comes a green card, which Beltran has been fighting for, so that he could stay with his family in the United States. The WBO title should all but ensure that for the 36 year old Beltran. Beltran came out of the gate swinging, and dominated the first round. The 39 year old Moses however, found a home for the right hand in the second round, and would continue to land it throughout the middle rounds. Beltran seemed to take some of the middle rounds off, perhaps saving his energy for later, but came alive with a vengeance in the late stages of the fight. 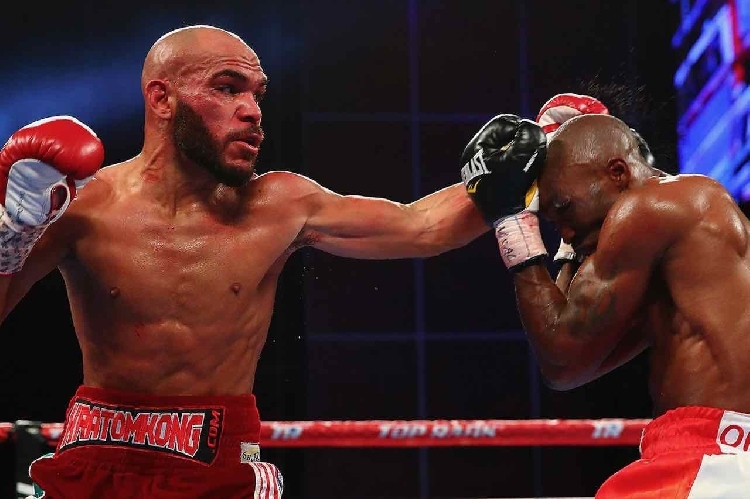 Beltran dominated the 10th and 11th rounds and he went down to both sides of Moses body, which opened up the head for his devastating left hook. The final round was a close one, but not enough for Moses to pull out a viceroy. The final scores were 117-111/117-111/116-112, all in favor for the new WBO Lightweight champion Raymundo “Sugar Ray” Beltran. Nicholas Walters — Win TKO 7th round (12), 11/26/16. Oscar Valdez — Loss, Unanimous Decision (12), 4/22/17. The night began with a look back at last weeks Pay Per View showdown, where Manny Pacquiao demolished Chris Algieri. It was not the only one sided victory shown last night, as Terence Crawford (25-0, 17KO’s), absolutely outclassed Ray Beltran (29-7-1, 17KO’s). Terence Crawford is the best in the world at this time, at switching from a conventional stance to southpaw, as he pretty much fought the whole fight left handed. He started off right handed, and then switched to left after the first round which he normally does anyway. The interesting part was that he never went back, and he was right in doing so because Beltran had no answer. Crawford is coming off a very impressive win against then undefeated Yuriorkis Gamboa, in a fight that got really wild. In that fight, “Bud” Crawford was back and forth between the conventional and southpaw stance, which is why it is so interesting that he never went back to his right hand last night against Beltran. Beltran’s only chance here was to get wild and wait for Crawford to make a mistake. He did not do that and he ultimately paid the price. Crawford controlled the tempo of the whole fight, and in fact won every round except the 5th. The final scores were 119-109, 119-109, and 120-108. I personally scored the fight as well, and gave Beltran the 5th, so I had it 119-109. Crawford said after the fight that he was done in the Lightweight division. If he steps up in weight which he will do, he becomes a Junior Welterweight. This division is loaded with the likes of Danny Garcia, Lucas Mattysse, Lamont Peterson, Adrien Broner, and many more. Barring a showdown with Floyd Mayweather, Manny Pacquiao will also be moving down to 140 pounds, which creates a lot of opportunities against top fighters for Terence Crawford. This also means huge pay days for Terence. I personally don’t care which one of these guys he fights, because any one of them would be very exciting opponents for Crawford. It will be interesting to see who draws the straw that leads to a fight with Terence “Bud” Crawford. Undefeated Evgeny Gradovich (19-0, 9KO’s) put his IBF Featherweight title on the line against undefeated challenger Jayson Velez (22-0, 16KO’s). Velez looked sharp and technical thru the first 4 rounds, and seemed to be pulling away on the score cards. Theres no doubt every round thereafter was close, but Gradovich seemed to get the better of them, and win the rest of the way. After 12 rounds of action, we went to the scorecards for a draw. A draw?!?! Really? The final scores were 116-112 Gardovich, 115-113 Velez, and 114-114. Gradovich won this fight, and one must ask themselves a question. Did this bogus decision have anything to do with the fact that Velez is trained by Abel Sanchez and promoted by Miguel Cotto? I think so!! !